Call me crazy, but don’t these (and the matching Air Jordan 8s) resemble the vintage San Antonio Spurs logo a lot more than a typical “South Beach” Colorway? Sure, they’re similar, but orange has never been included in your traditional SoBe colors of pink and green. 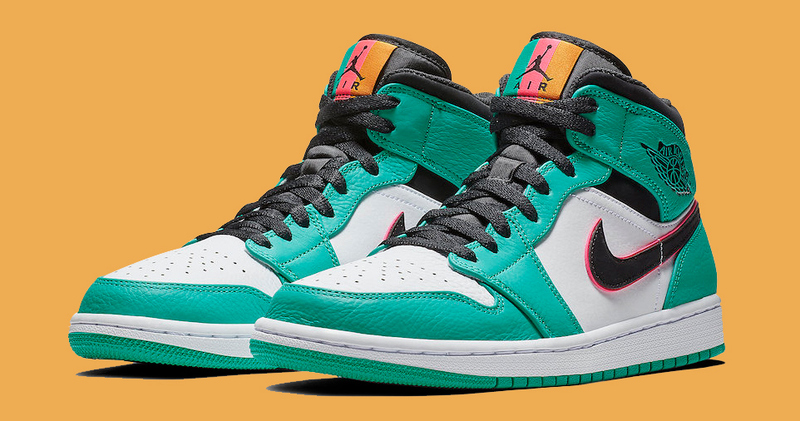 Well, whatever you want to call them, these Air Jordan 1 “Spurs” / “South Beach” Mids are lit, and they’re available right now! These are live on Foot Locker, and can be yours for a cool $120.